Recently I travelled to England and Germany to speak at Agile Testing Days 2014. It was a wonderful conference and the trip gave me a chance to do a lot of walking to see a lot of sites. 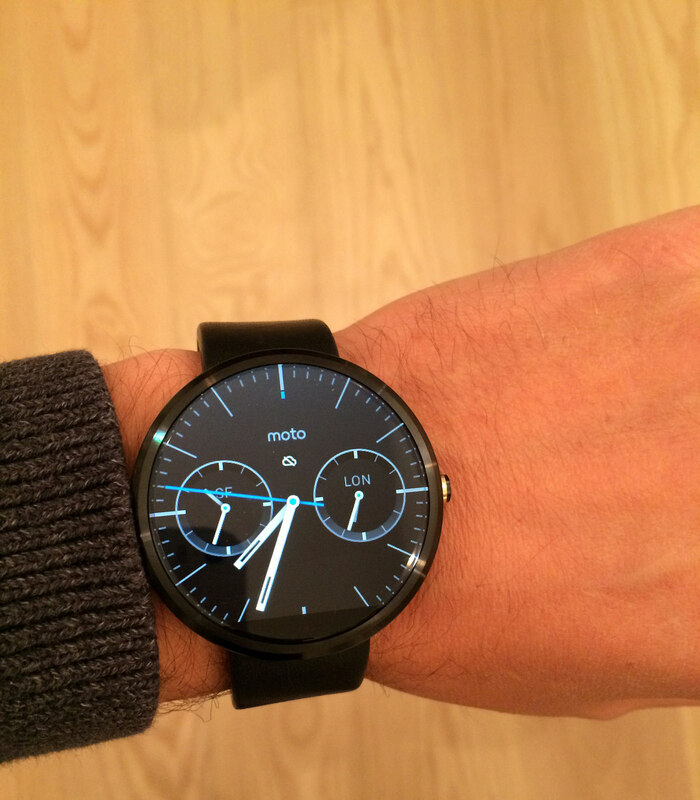 I was wearing my new Moto 360 which among many other things keeps tracks of how many steps you take. The default goal (similar with other pedometers) is 10,000 steps. This didn’t seem like much but I never seemed to get over 8,000. That changed in Europe. Walking around London and then Berlin and Potsdam Germany put me over 20,000 steps several times during the week. For me and many of my colleagues, we spend a lot of time away from home staying in hotels and eating in restaurants. This makes it difficult to keep up with our exercise routines and eat a healthy diet. Eating healthy in Europe turned out to be very simple. Every place I ate had healthy options and food was fantastic. At one place, all their beef was from one local farm and it was delicious. They also served the best pumpkin soup I’ve ever had in my life. I was shocked at how good all the food tasted. If you’ve been to Europe, you know what I mean. If you’re a foodie, you owe it to yourself to go. Healthy food. Check. Exercising while travelling can be difficult. Most chain hotels have a small exercising room and some have pools. I try to at least once a week hit the gym or the pool. Another thing you can do in your hotel is to take the stairs. It’s one of those small things that can really make a difference if you do it regularly. If you do yoga, it’s something you can do in your hotel room. While I was in Europe my hotel didn’t have a pool or a gym. Luckily, a bit of site seeing helped me set new personal bests on my pedometer. I also felt great with all that walking. A 15 minute walk can change your life. I’d love to hear some of your tricks for staying healthy while you’re away from home.